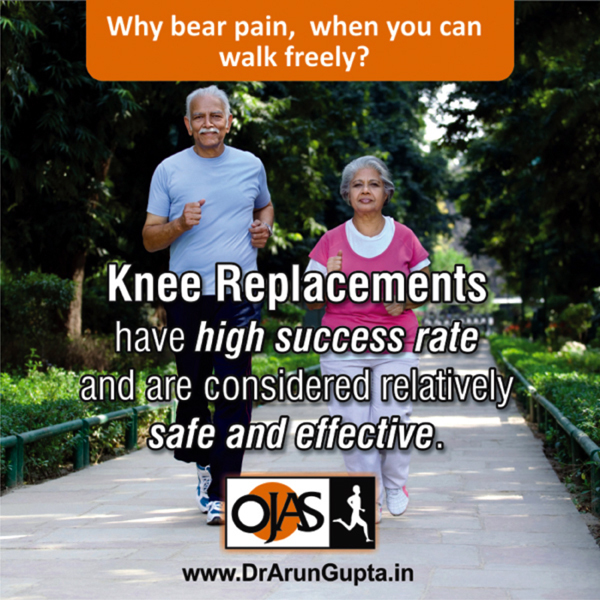 In a very brief span OJAS, Agra has matured into one of North India's most trusted healthcare center in the field of specialized Joint Related problems. 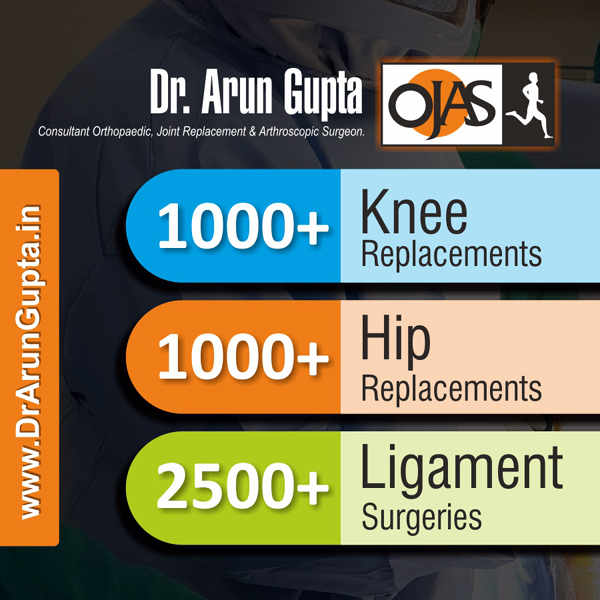 With the use of high end Smith-Nephew and Stryker (USA) equipments backed by operating rooms equipped with hi-techgadgets and inspired by the extensive training, expertise and experience of Dr. Arun Gupta, this Arthroscopy - Arthroplasty unit hassucceeded in creating enormous confidence in patients by offering extensive ultra modern treatment and care at extremely affordable prices. 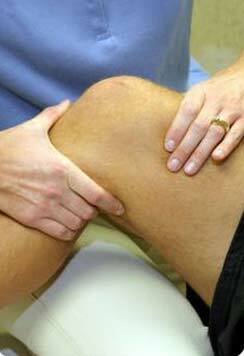 Backed by about 10 years of extensive training, expertise and experience. 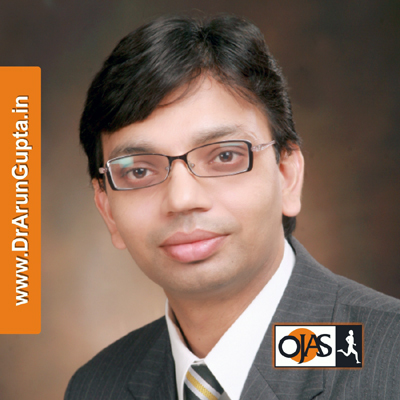 Dr Arun Gupta has created a niche for himself in the field of Orthopedics, Joint Replacement and Arthroscopic Surgery. 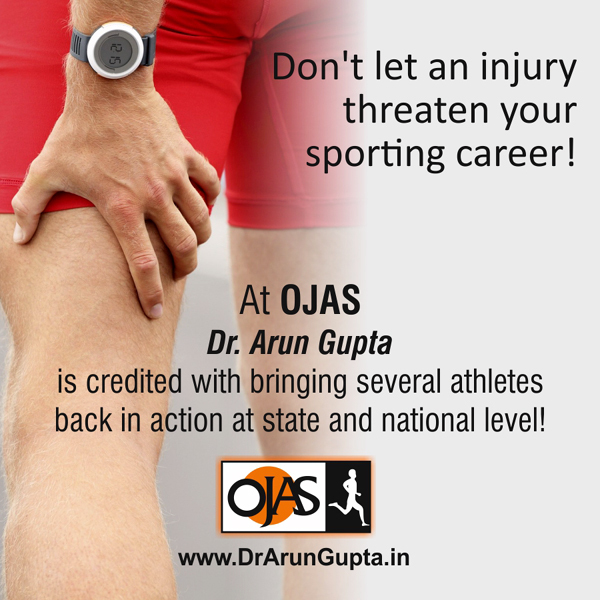 The sole credit of initiating the Joint Replacement & Sports Injury Clinic (OJAS) goes to Dr Gupta. 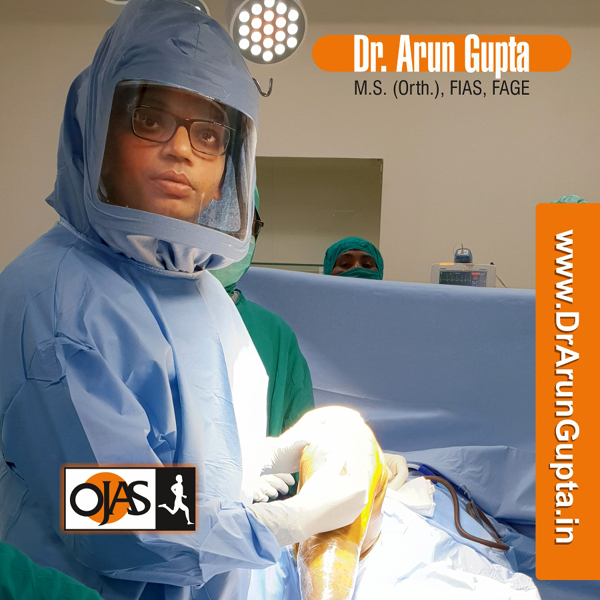 After passing his Masters in Orthopedics with distinction, Dr Gupta completed his training in Mumbai and then went to Portugal for fellowship in reconstructive knee surgery. After further specialized training at the Chulalongkorn University Hospital, Bangkok (Thailand), Dr Gupta served as Assistant Professor in Joint Replacement & Sport Injury unit at the prestigious Kasturba Medical College, Manipal. Read More..